The Queenie Foundation, Inc. (TQF) is a 501 c 3 humane education and cat rescue/adoption organization founded in 1996 in Dallas, TX and named after a rescued puppy. We are now headquartered in Manchester, CT near Hartford. We rescue and adopt out cats and kittens in the greater Hartford area. Our fosters are fully vetted before they're made available for adoption, which includes, but is not limited to spay or neuter, vaccinations, worming, and microchip. The adoption fee is $150. TQF is a PetSmart charity which entitles us to use the Manchester PetSmart to show our foster cats. The Founder and Executive Director is usually in the store on Sunday afternoons. We always need donations to pay for vet bills and food and we could use a few more foster homes. Please contact us at queeniefound (AT) hotmail.com. Comments for The Queenie Foundation, Inc. I'm blowing our own horn because I think we do a pretty good job of placing cats and kittens in our area. Prospective adopters fill out an application and must prove that their current and/or past companion animals receive/received proper health care. We talk to all the animal hospitals they've used in the last five years and they must list all of their companion animals for the last 10 years. 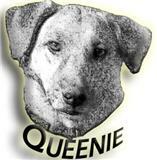 If you would like to be a foster parent or volunteer at my house, please contact me at queeniefound@hotmail.com. The foster area houses five to six cats, usually, so there are six litter boxes that need to be scooped daily. Food and water should be changed out and replenished. After your duties are completed, you're free to hang out with the cats.